After experiencing some computer, issues that I am still working on, I realized that I did not blog yesterday. Consequently, Grandmother Musings was set to Elvis for two days. I think he deserves some recognition, but his time is over with tonight. Sorry Elvis, but now I have some recognitions of my own that I would like to share. It seems that I am having a triple play of awards. To all of my nominees, please accept your nominations as a gift. You are all wonderful bloggers and deserve to be recognized for your efforts. However, I understand the amount of time and energy one has to devote to receiving an award, so please take all the time you need. If you would rather not participate, I understand that, too. No strings are attached to your nomination only LOVE. First, is the “Super Sweet Award” that Diane at hometogo232 shared with me last week. Diane is a “Super Sweet” friend and deserves to be awarded for her kind heart and great blog. Please visit Diane’s blog at hometogo232. Cannoli – when I can get it! I crave sweet things in the evening after dinner. Peace the consciousness, the transitoriness, your existence. 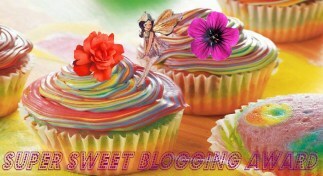 Please visit, like, and leave a “Super Sweet” comment for all of these wonderful blogs! The Beautiful Blogger Award is the second award in this trifecta that I am blessed with receiving is from nutsfortreasure who has a fantastic blog entitled, Living and Loving. She also blogs on 20 Lines or Less with inspiring poetry, stories and photos. Nutsfortreasure is definitely someone you will want to get to know. Please visit and make a few comments! 1. Write a little something about the Beautiful Blogger who nominated you with the award. 3. Nominate 7 other bloggers for the award. 1. My kindle has a green cover. 2. I eat a banana every day. 3. My mother’s Trick or Treat was me! 4. When the baggers at the grocery store put my fruit & veggies with my meat, I create a scene. 5. Family game night is one of my favorite nights. 6. You NEVER want my head to pop off and fly around the room. 7. I try hard to “do unto others as I would want them to do unto me”. Please visit, like, and leave a “Beautiful” comment for all of these wonderful blogs! Last, but as important, is The Versatile Blogger Award, shared with me today by Wealthymatters. Her blog gives pertinent information about wealth building, entrepreneurship, and other wealth tidbits. She has a Siamese cat and has recently adopted a crow chick with a broken wing. She is a resourceful and multifaceted blogger and very deserving of her own Versatile Blogger Award. I am honored that she chose Grandmother Musings for her nominations. Please visit wealthymatters! 1. Recognize and thank the person who gave you the nomination. 2. Write 7 things about yourself. 1. I made chicken soup and spaghetti & meatballs, today. 2. My husband and I once purchased a car for $100. 3. Shoes hurt my feet. I dread having to wear them all winter long. 5. Nova Scotia looks like a beautiful place to visit. 6. My camera is in the shop and I am anxious to have it back in working order. 7. I am happy I have made it through 8 months of 2012! Please visit, like, and leave a “Versatile” comment for all of these wonderful blogs! Posted in Awards and tagged awards, Grandmother Musings, gratitude, Nominations, postaday, recognition, Rules, Super Sweet Award, sweet award, Thank you, thanks, The Beautiful Blogger Award, Triple Crown, VBA, Versatile Blogger Award. Bookmark the permalink. WOW A car for $100!That sounds great.What’s the lowest priced car you could find today? Thanks so much!! I am honored! Definitely wouldn’t want your head to pop off and fly around the room. But I’m curious – does it happen often? Any pics? 🙂 Lovely post and congratulations on the well deserved awards. Jamie, thanks so much!! Grandbabies are dancing around the livingroom!! We really appreciate your follow and nomination. We’ll work on our acceptance and get it posted!! Thank you so much for the Super Sweet Award! congos, great work. keep it up! 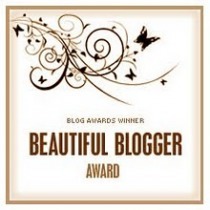 Haven’t had time to begin doing anything about this yet, but I am very pleased and honoured that you chose me for the Beautiful Blogger Award. Before I do anything else, I will check out all the people on your lists. Some of these are not known to me and it’s a great opportunity to see the work of others. Yep, clicking the nominees – all very interesting. Mind you, I visit blogs and click on all the time. I am nosy like that. Have managed to do my own nominations now. If you’d like to, you can check them out on Fluffy Moments on my Blog. Yeah! Yahoo! Yippee! & Congratulations! Now I’m off to click on your nominee links……well, except for that one blog since I’m quite intimate with the blog owner……..lol………Thank you! Thanks so much for the award!!! I passed along the love today – sorry for the delay! Here’s the post: http://newsofthetimes.org/2012/08/28/tuesday-tunes-ramble-on-and-awards-galore/ Thanks again and keep up the great work! BTW – I LOVE your poem today – and the photo!! Both are just stunning!